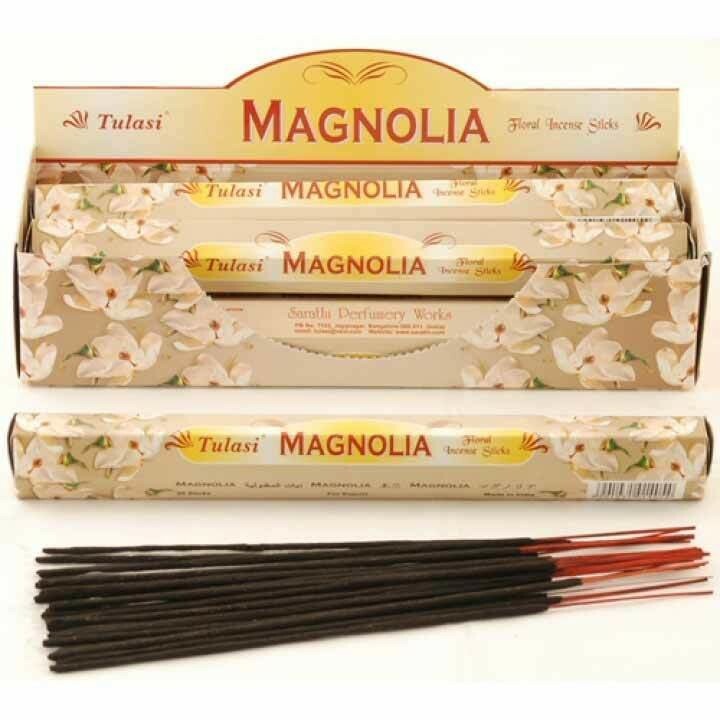 Enhance the atmosphere of any home with these Tulasi Magnolia Incense Sticks. Tulasi Incense Sticks are well known for having a good defined fragrance. The luscious, floral aroma of the Magnolia fragrance is ideal for creating an air of peaceful relaxation in your home. The calm and serene scent will leave you gently relaxed and ready for the challenges ahead.